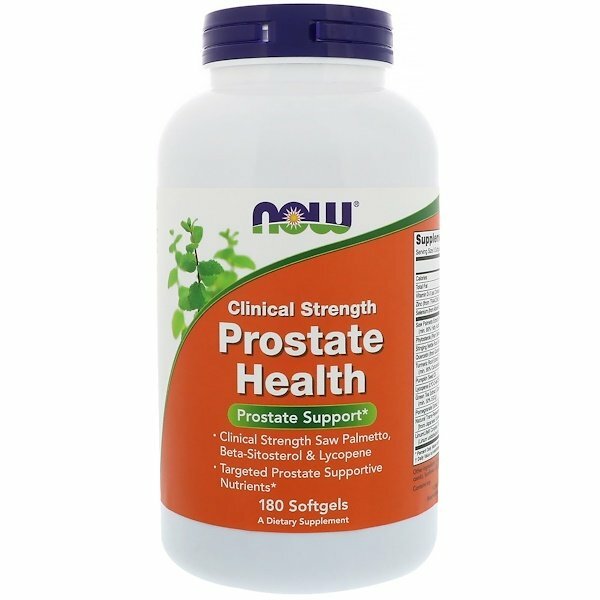 NOW Clinical Strength Prostate Health is a combination of botanicals and nutrients that support a healthy prostate gland. 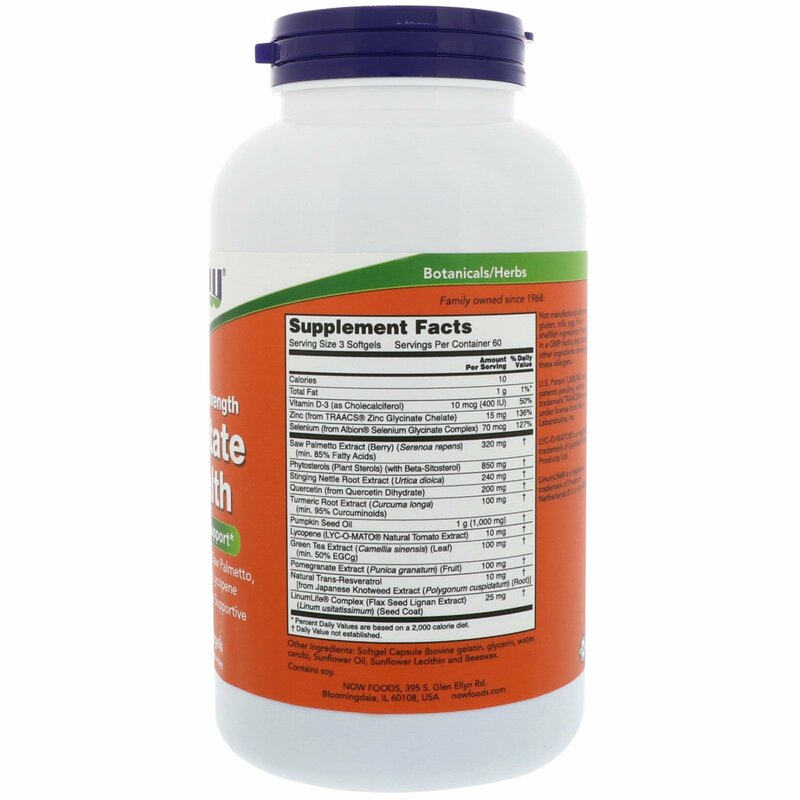 Clinical Strength Prostate Health features the botanicals Saw Palmetto Extract, Lycopene and Beta-Sitosterol at potencies that are comparable to those that have been used in clinical trials. 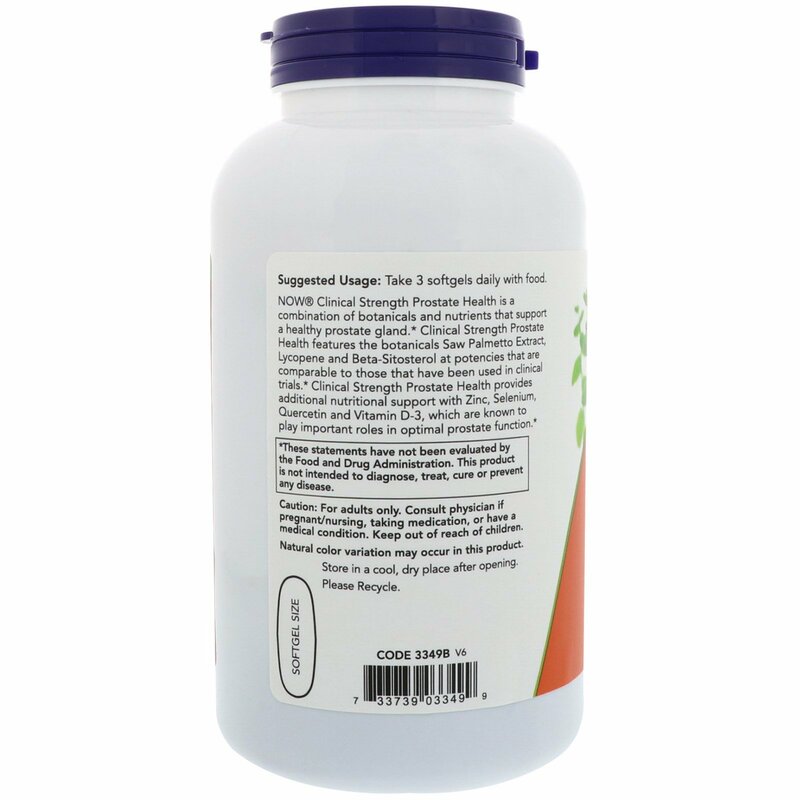 Clinical Strength Prostate Health provides additional nutritional support Zinc, Selenium, Quercetin and Vitamin D-3, which are known to play important roles in optimal prostate function.